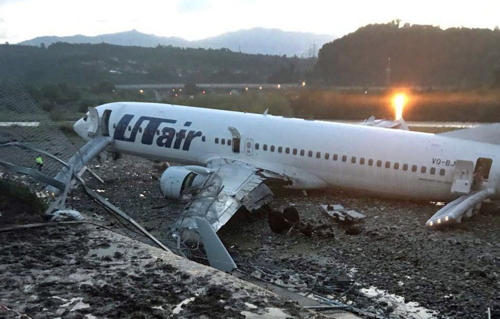 Early on Saturday, more than 160 passengers and crew on a Russian Boeing 737 skidded off the end of a runway during a rough landing in the Russian city of Sochi, plunging into a river and exploding into flames. 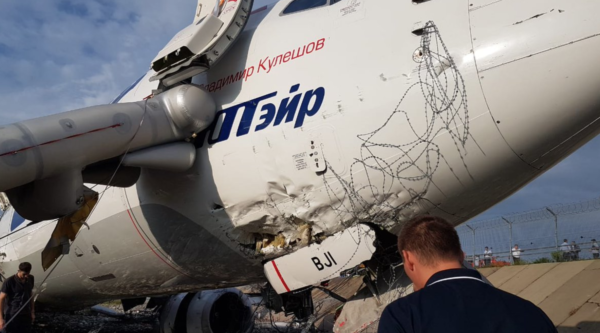 All passengers and crew managed to escape, about 18 people received medical treatment, the Russian Health Ministry said in a statement, adding that rescue crews swiftly evacuated everyone from the plane. “At the moment, there are 18 injured, including three children. There are no fatalities,” the ministry said in a statement. All 160 people on board were evacuated. The blaze has been put out, local emergency services said. 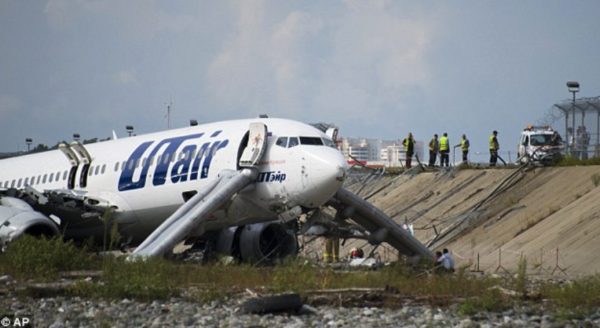 The Utair airline said Flight UT579 going from Moscow to Sochi had difficult landing due to poor weather. It took the aircraft two attempts to land, with strong wind and rain behind the first failed attempt. 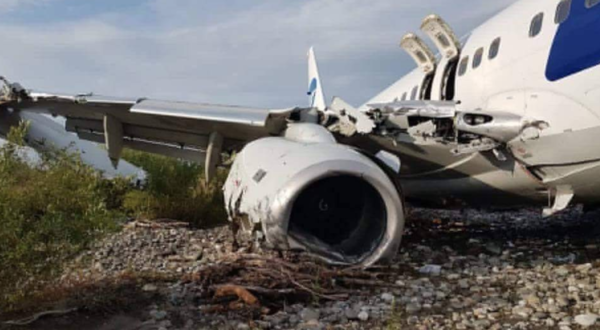 On the second attempt, the pilots managed to land the plane but it overshot the runway, crashing through a barrier and plunging a dozen or so feet into a riverbed and caused the left engine to catch on fire, an Utair spokesman told RIA Novosti. “There were 164 passengers and six crew on board. 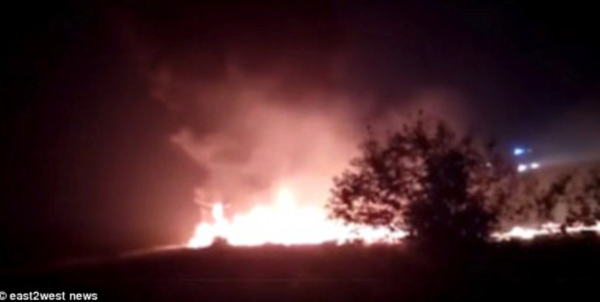 Sochi airport firefighters extinguished the flames and evacuated the people. There are no fatalities,” the air carrier said. 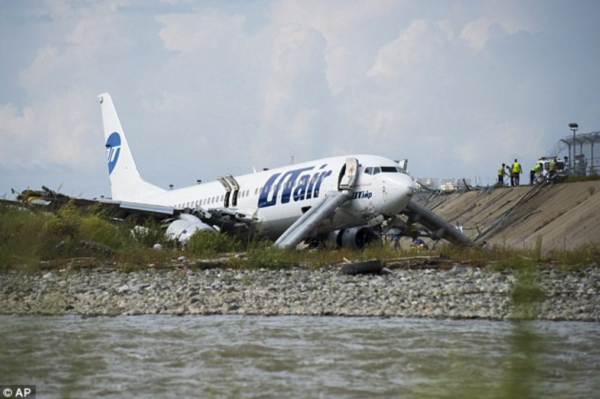 Utair said a joint investigation into the crash had been started with aviation authorities. At the time of the incident, there were no delays at the airport. Passengers said after the impact, emergency inflatable chutes were deployed from the airplane’s exits. 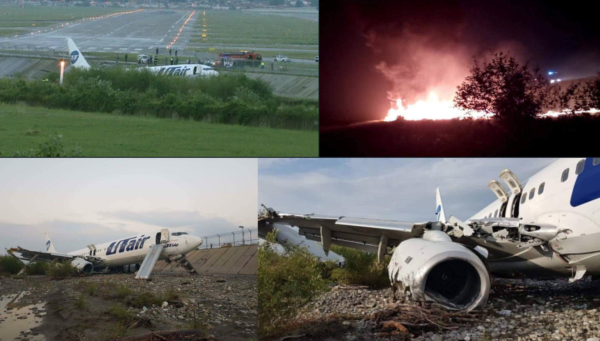 Some exits were blocked due to intense fire, so many passengers had to exit on the plane’s wing then jump to the ground. 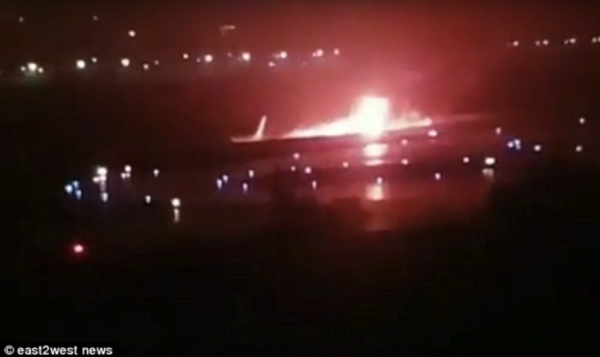 The video shows the moment the plane erupted into flames, as a passenger using his smartphone caputed the aftermath. “We crashed, but it’s OK, I guess,” a man can be heard saying in a short video minutes after the jet skidded into a riverbed. 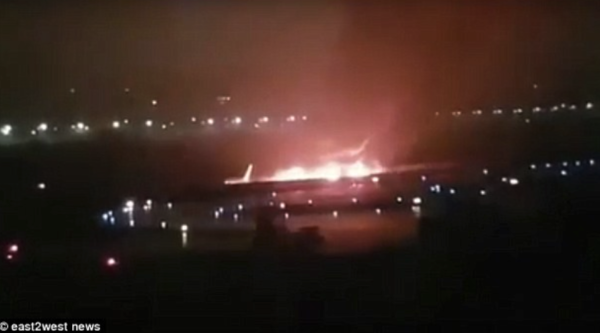 The video shows intense flames, as faint screams of distressed passengers can be heard in the background.